Through our worship, our intention is to show our love and loyalty to God for His grace. Jesus says in John 4:23-24, “But the hour is coming, and now is, when true worshippers will worship the Father in spirit and in truth, for the Father is seeking such to worship Him. God is a spirit and they that worship Him must worship Him in spirit and in truth.” Worship services are carefully planned so that we may assemble together as the body of Christ as true worshippers. Our services are centered around the Bible and Christ’s teaching as we learn how to follow Him. The 9:00 AM Praise and Worship service is contemporary in nature when it comes to the music and layout of the service. 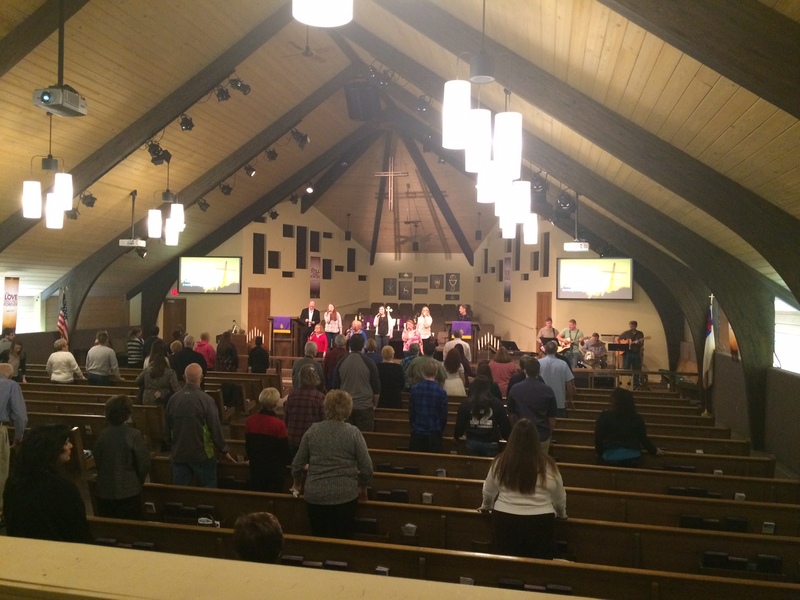 The message is the same but the music is led by a Praise Team and a Praise Band.